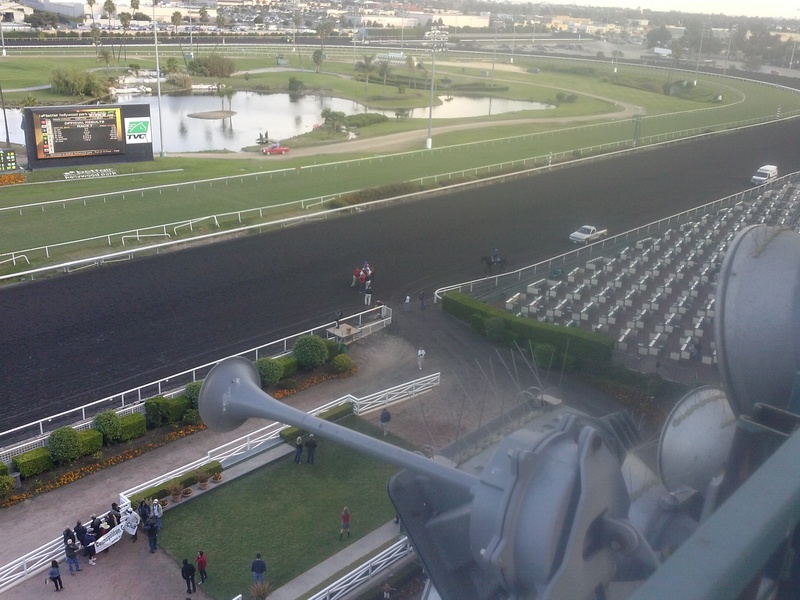 After 75 years, Hollywood Park, the horse racing track in Inglewood will run its final live race on Dec. 22. 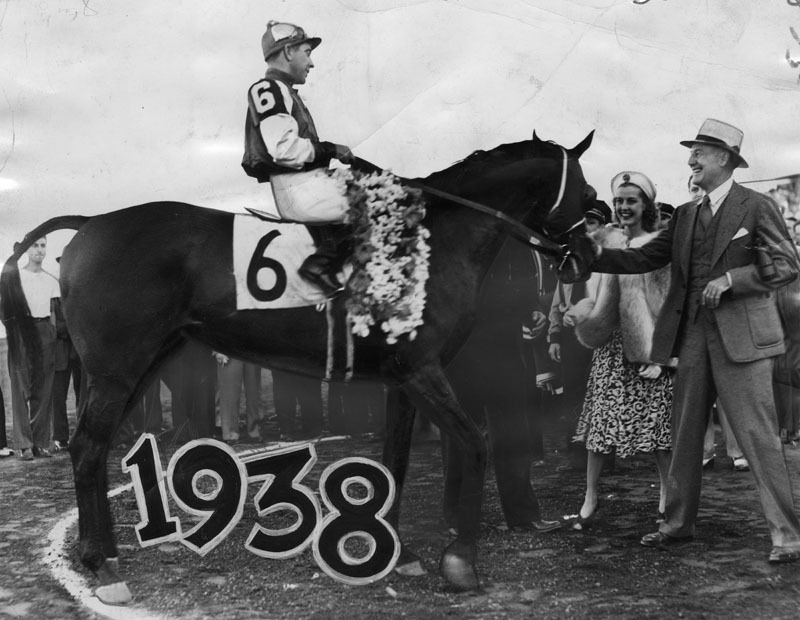 Ever since the first Hollywood Gold Cup championship race was won by the legendary Seabiscuit in 1938, the track has been home to some of the sport’s best known horses and many of Hollywood’s biggest stars. It was founded by Warner brothers Jack and Henry, along with 600 shareholders many of whom also worked in the entertainment industry. The Walt Disney Co. was an original shareholder. Bing Crosby, Lucille Ball and Desi Arnaz, and even Ronald Reagan owned thoroughbreds and were regulars at the park. 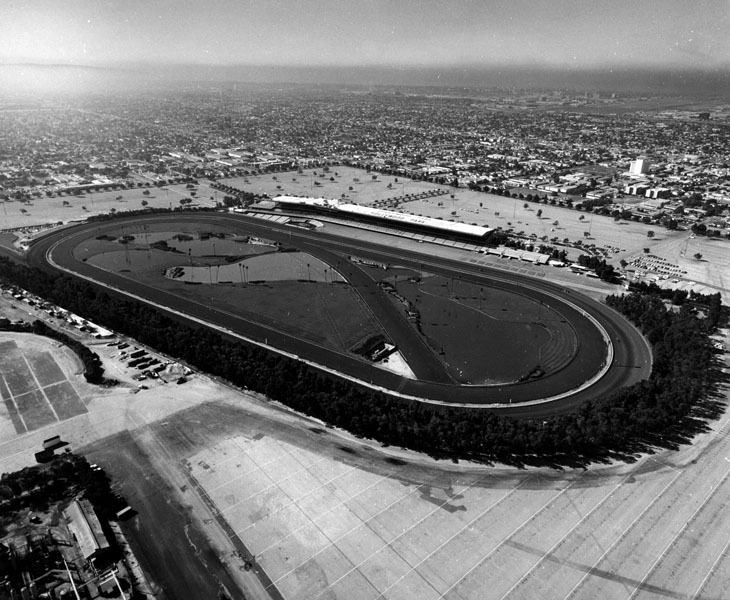 In 1936 Hollywood Park was a swampy bean field in Inglewood. But Jack and Harry Warner saw the land as an ideal spot for horse racing. There was already a track in Arcadia called Santa Anita, but the management there was not welcoming to Jews. The track was more than a place where you went to watch the horses run – deals were made, the elite rubbed elbows with one another – you might call it early networking. So the excluded Jewish entertainment moguls gathered up some investors and transformed empty land a racetrack that was open to them. 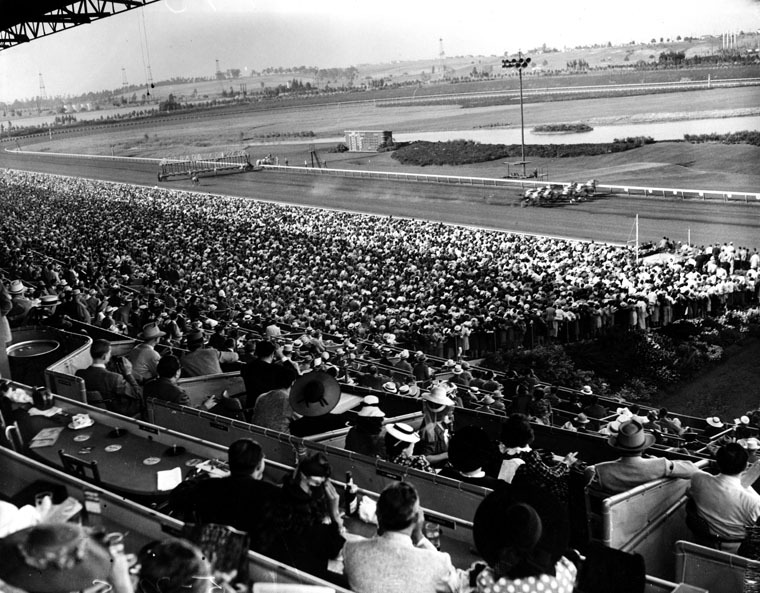 From opening day on June 10th, 1938, Hollywood Park was a place to be seen. If you were a movie star and you wanted to be in a Warner Brothers picture it was a good idea to show your loyalty to the studio by playing the horses at Hollywood Park. And horse racing was the most popular sport in America then. When Seabiscuit raced War Admiral in 1938, forty million people listened to the race on the radio. Even the president to the Unites States, Franklin D. Roosevelt, stopped a cabinet meeting to listen. 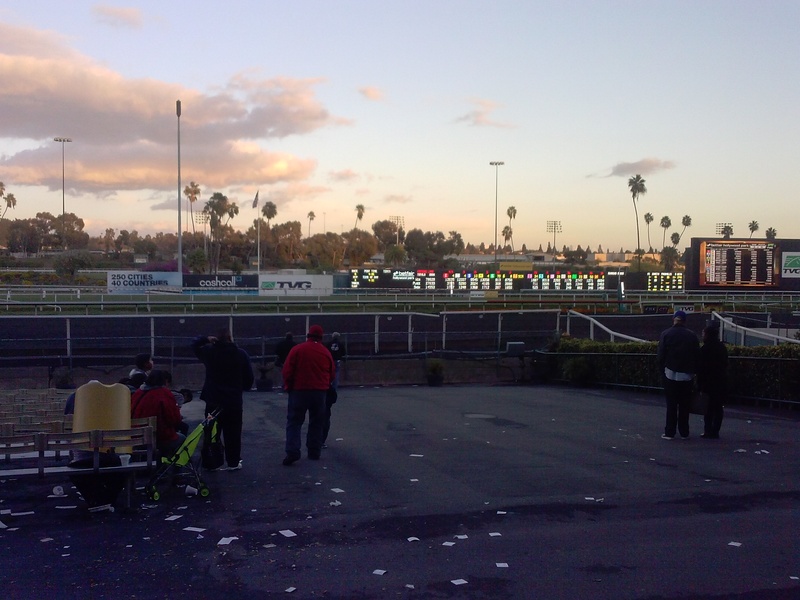 And for over a decade, Hollywood Park had the highest attendance records of any track in the country. It remained popular right up to the 1970’s, when the glamor started to wane. “I think my generation was where it started to unravel,” says Nason Smith, a gravel-voiced former regular at Hollywood Park. His dad was a bookmaker, taking bets illegally on the side. “The track in the 70s was a much seedier place,” says Nason. Today, Hollywood Park isn’t so much seedy as it is empty. Attendance rarely tops 5,000. There’s a lot of theories about why the sport is in decline. You can bet online now. And with 30 minutes between each race there’s a lot of down time – unlike football, baseball and Nascar where the action is constant. People don’t seem to value pageantry the way they used to. After the grandstands and the stables are leveled, the historic race track will be turned into a $2-billion mixed use development with nearly 3,000 residential units, office, retail, a hotel and two lakes. 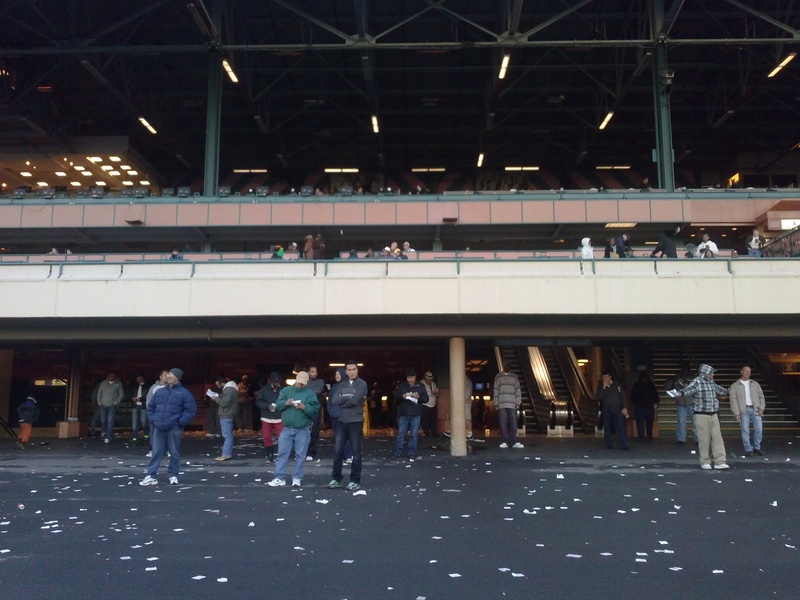 Most regulars aren’t terribly heartbroken by the news that Hollywood Park is closing. Santa Anita isn’t too far away, and the Hollywood Park Casino, located next door, is staying open. It’s being renovated and will expand its off track betting facility for the thousands of gamblers who spend their weekends glued to the TV sets that broadcast races from around the country. At the final horse race at Hollywood Park on Dec. 22, bugle player Jay Cohen will walk onto the track, bring the bugle to his lips and play the call to the post one final time. Then, he says, he’ll play Auld Lang Syne and, finally, Hooray for Hollywood. Full stands at Hollywood Park The grandstand at Hollywood Park Racetrack Looking over the spectators to the track. The master plan was designed by architect Stile O. Clements and landscape architect Edward Huntsman-Trout.